In the wake of the mass-shooting of six and seven year old children in Newtown, Connecticut, I believe it is time to highlight a few corporate ties to the National Rifle Association so those who do not wish to support that organization in any way can make a more informed choice on certain travel services. However, before I do that, I need to make the usual disclaimer. I strongly support the Second Amendment and the interpretation that it allows all citizens to own and use firearms. I believe in this in the name of hunting, collecting, target shooting, just plain fun, and self defense. I put extra emphasis on the last category as the United States is still filled with areas that are too rural to have nearby police assistance and we have cities where the police are so busy that taking matters into one’s own hands could easily be necessary. However, I am also a strong supporter of common sense. Hunting nor self-defense require military-style automatic weapons nor massive ammunition clips. As for collecting, many special collections of other types need to be specially licensed and firearms designed for nothing but killing humans is logically one of them. The only people that could possibly believe otherwise are living an absolute nut-job fantasy that citizens should be arming themselves in order to take on the U.S. Government. The rest that claim such a thing are looking for nothing but to make money on a highly misinformed section of the public. Of course, the leader in making impossible even the most sensible laws and enforcement regarding firearms has been the National Rifle Association (NRA). Ever since turning away from being a benign organization that promoted hunting along with gun safety and education and morphing into one of the most powerful lobbying groups in the United States, they have done nothing but continue the illusion that America would be better off turning back into the Wild West where everybody carried a gun and issued justice on the spot. If there is one good thing at all that will come out of the massacre in Newtown, it will be that a large portion of Americans — especially voting mothers — have woken up enough that the NRA can no longer hide the blood on its hands for spending so much time and money in blocking sensible firearms law enforcement. Even the NRA was embarrassed enough to temporarily suspend its Facebook page, not use its Twitter account for a week, and not make any public statements of any other kind until a Friday “garbage day” as it’s called in the news business (because fewer people pay attention to the news as the weekend approaches). The temporary showing of a little bit of conscience by the NRA has already passed. While there is still a chance they might not succeed in preventing new federal and state legislation to put some sense back in the country’s gun laws, it is my belief that both the NRA and any of its enablers need to be punished for what they have done to this country for far too long. While strongly in the mainstream media’s spotlight, it was brought to the nation’s attention that the NRA advertises several business affiliations on its website. These businesses offer discounts to NRA members for various goods and services. Through this whole week while even some of the most conservative of public figures and organizations have stated they would accept some new gun legislation along with badly-needed assistance for those needing mental health services (a big portion of the problem which should not be overlooked even though not the focus of this post), not a single one of these corporations has come forward to address the general public on their continued association with the NRA. As I said back in my post listing the consumer brands controlled by the Koch Brothers, I believe that the NRA and its supporters are perverting our country and the common sense type of democratic republic that our Founding Fathers wished to be handed down to their descendant citizens. Just as I do not allow perverts into my home in the form of the Koch Brothers’ paper and building products, I do not wish to spend the night in a pervert’s motel room or drive in a pervert’s car. Therefore, just as is done on many government websites where perverts are listed so people can stay away from them if they wish, I offer this list along with pictures of these other types of perverts so they can also be identified and avoided. 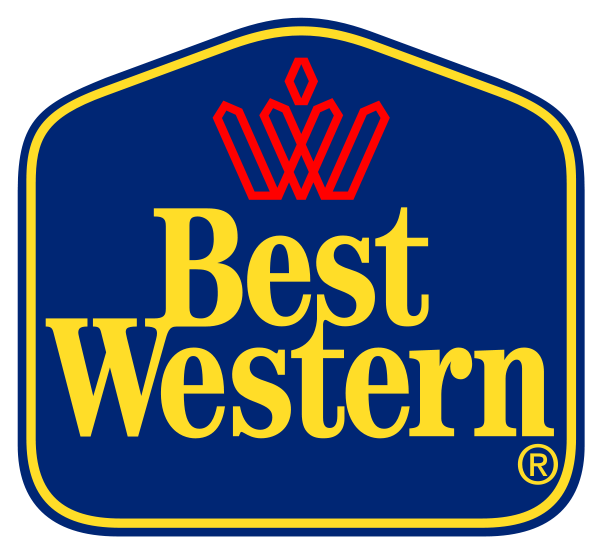 This one sort of hurts because Best Western is generally my favorite motel chain although usually a bit more expensive than others I frequent. However, it is quite clear that they are still offering a discount to NRA members as they are given a code to provide upon making a reservation that is then verified by showing one’s NRA membership card upon registration. Wyndham Worldwide Corporation is a complicated one because it includes a lot of brands, many of which were independent for so long it does not always register in the public’s mind that they are now under one owner (especially since there is no similarity in each brand’s signage). However, each of Wyndham’s brands lists a “Benefits ID” number on the NRA website. This is also not an easy one to avoid because the included brands are ones that include names that are reliable for either comfort or low prices along with being ones to which many Americans have fond attachment. Still, they have now been irrefutably sullied. It is not just these two motel giants that must now be given the spotlight. 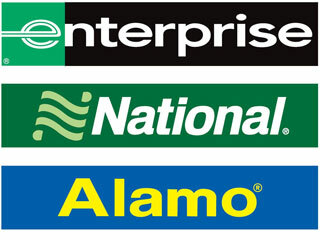 More importantly might be the car rental companies which consolidated to such a point in 2012 that there are really now only three of them…and they are all helping to support the NRA. The company that owned Avis acquired Budget in 2006. Both brands list a special number on the NRA website that allows its members to receive a discount. Hertz is the Johnny-come-lately to the multi-brand scene. Late in 2012, they announced their intention to buy the already joined Dollar and Thrifty brands. 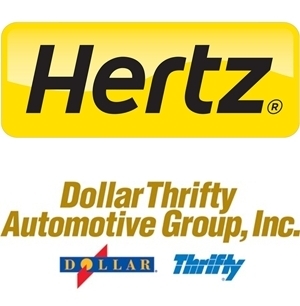 This is Hertz’s second attempt at a buyout of Dollar-Thrifty. At this time, only Hertz is offering NRA members a discount code. Obviously, if the merger does not go through, Dollar-Thrifty would be exempt from this list. Now it’s time to talk about alternatives. Especially if Hertz is successful in taking over Dollar-Thrifty, other choices for car rental in the United States will be difficult to find. There are still a handful of independent companies but their market saturation is very limited…and even more so if one wants to pick up a car in one city and drop it off in another. It very well might end up that this will be an evil that cannot be avoided. However, depending upon one’s travel plans, at least give a look to companies such as ACE Rent A Car, Fox Rent A Car, Payless Car Rental, Rent-A-Wreck, and U-Save. As for motels, the other choices are too numerous to even begin to list. While I did admit my previous use of both motel chains listed above, my preference is to try to use the great resources of the World Wide Web to find independent, locally-owned motels or, at the very least, a smaller chain. Since that is often not a viable option, one easy way to go to get a lot of choices in one place between number, style, and comfort level is, appropriately enough, Choice Hotels International which includes many well-known brands in its stable. I have over 60 American hotel chains saved in my browser’s Bookmarks so being able to avoid Best Western and the Wyndham Group should almost never be a problem. Boycotts are never easy. These particular ones will be quite tough especially for business travelers. However, the tragedy in Newtown seems to be the event that made enough Americans come to their senses and realize it is time to stop allowing the NRA to run roughshod over the country. The NRA has certainly been The Man in how it has grabbed undue influence with its 4.3 million members to steamroll the other 310.7 million American citizens. It is well past time that we not only stick it directly to The Man on this issue but also to all that are enabling him to live in extra comfort. Posted in Advice, Corporations, Government, Politics, TravelTagged Best Western, boycott, car rental, Connecticut, motels, National Rifle Association, Newtown, NRA, WyndhamBookmark the permalink.